LytePro7 is Stonco’s new LED innovation. It’s been designed specifically for “Through Stock Sales” from a distributor. The all new LytePro7 Series wall-mounted luminaire from Stonco is less than half the size of traditional wall sconces but it delivers over twice the performance. 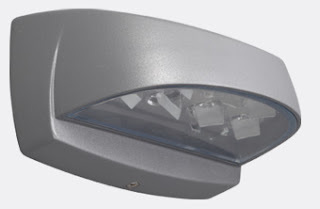 LytePro7 is designed using high lumen output LED sources for maximum illumination and uniform distribution improving safety and security in perimeter lighting applications. Along with new installations, the LytePro7 is ideally suited as a replacement for existing high pressure sodium, compact fluorescent and incandescent luminaires. LytePro7’s sturdy constructions and extended life can mean it will be the last fixture you will ever need to buy!